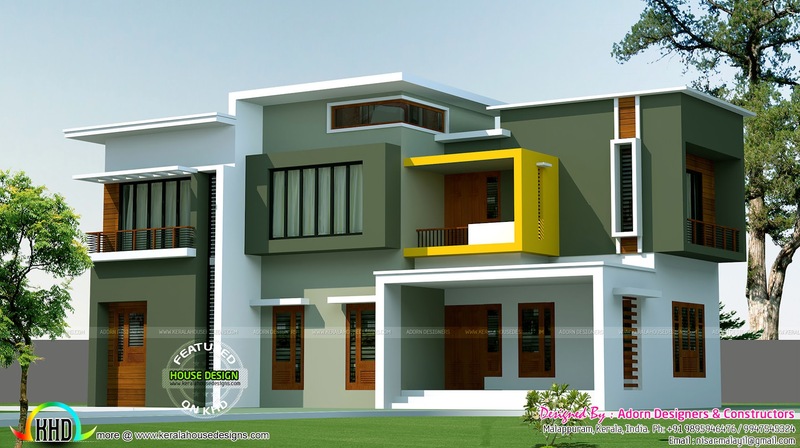 4 bedroom box model house architecture in an area of 2500 Square feet (232 Square Meter) (278 Square Yards). Designed by Adorn Designers & Constructors, Malappuram, Kerala. 5 comments on "Box model contemporary house 2500 sq-ft"